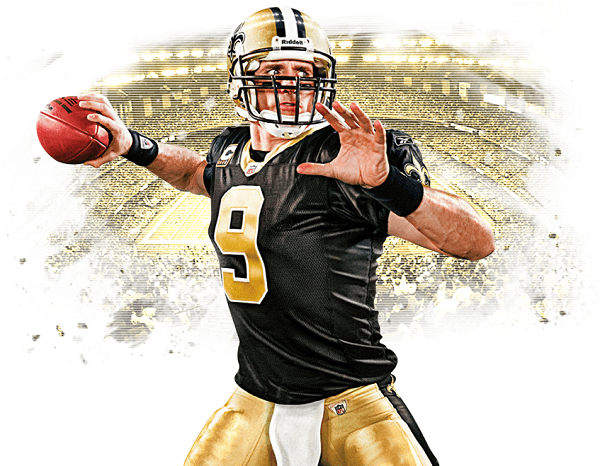 Married Biography / Entertainment / The football quarterback,Drew Brees celebrates after breaking NFL Record for passing Yards! His kids receive insipirational message from him! Recently, Drew Brees has broken all-time NFL passing record with a gorgeous touchdown. He has achieved the position of NFL’s all-time leading passer after breaking Peyton Manning’s record for career passing yards with a 62-yard touchdown pass to Tre’Quan Smith. This resulted in Drew Brees’ kids receiving an inspirational message from their dad. Details to follow. Over the Washington Redskin, Drew Brees was leading his team to a 43-19 win. When Brees hit Trequan Smith for a 62-yard touchdown late in the second quarter, he overtook Peyton Manning in the record books. To everyone’s surprise, Brees has already thrown for an astounding 72,103 yards in his 18-year career. 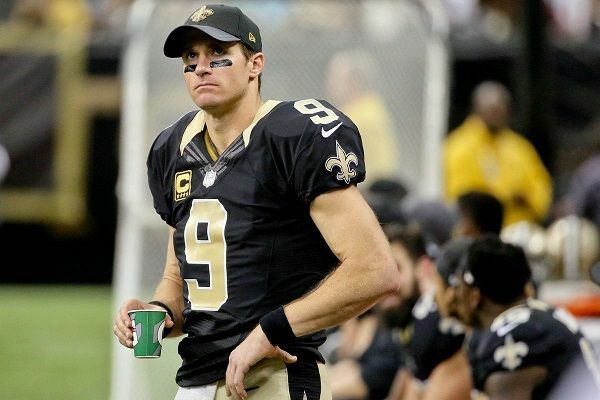 As soon as the play was completed, officials stopped the game so that the Drew Brees could enjoy his incredible accomplishment. After the game, when he found his family on the field The New Orleans Saints quarterback put the glamour and celebrations on hold to deliver an inspirational message to his four kids. Through Drew Brees, he shared his experience right from the very starting of his career. According to Drew Brees, he had been underestimated since his high school days. This was because he could have a harder time seeing over his offensive line without the extra few inches. The inspirational message of Drew Brees will surprise everyone except the people who are familiar with Brees’ journey. When Drew was 39, he played college at Purdue. He almost won the Heisman Trophy in his senior year. In the year 2001, his relatively short stature caused him to fall to the second round of the NFL draft. 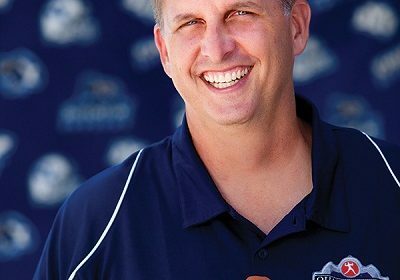 During the time, he was selected by the San Diego Chargers. Before he was allowed by the Chargers allowed him to become a freelance agent after tearing his labrum in the year 2005, Brees has already played five seasons in San Diego. Talking about his career, Drew was drafted by NHL in the year 2001. He was the part of the San Diego Chargers. In the same year 2001, he played his first game against the Kansas City Chiefs. Similarly, in the year 2oo5, he was able to become a free agent and in the year 2006, he joined Orleans Saints. Currently, he is a team member of it. He got his most of the achievements in the year 2009. He ultimately came to the 9th position out of the top 100 football players in 2010. Giving his hundred percent of effort, he earned the title of the NFC’s offensive player of the week. With his progress, he was able to raise his earnings and net worth accordingly. Also read: Manchester United’s boss Sir Alex Ferguson admitted for brain hemorrhage! Get the latest update on his health! The talented player was born on the 15th of January 1979. His birthplace is Austin in Texas. He was born to Chip and Mina Brees. Professionally, his father was a prominent trial lawyer while his mother was an attorney. Talking about his sibling, he has a younger brother whose name is Reid. 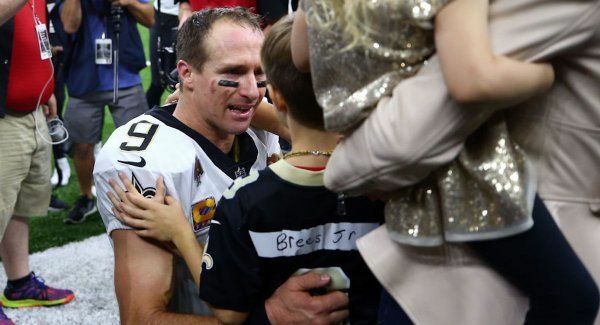 Unfortunately, Drew Brees’ parents officially got separated when Brees was 7. According to Drew Brees, after his parents’ divorce, he life was very difficult and challenging. It seems as if he is very close to his brother. This is because there was only the support for each other in their life. Further, Drew Brees also has a younger sister named Audrey but from his father’s second wife. It can be noticed that there are professional sportsmen in his family both the paternal and maternal side.